Is your home constantly hot upstairs? Does your A/C run without a break during the summer? Proper insulation can help regulate your home’s internal climate to keep your family comfortable and your wallet full. Call our Wilmington DE insulation company today for a free estimate! Save Up to 20% on Your Energy Bill AND Earn a Tax Credit! Is your home properly insulated and up to code? If you’re not sure, or if you haven’t had your insulation evaluated in the last 5 years, then call Ferris Home Improvements today for a free, honest assessment. We’ll bring you up to speed on the “r-value” of your current insulation, as well as the new standard r-values recommended by the U.S. Department of Energy’s ENERGY STAR program, as illustrated below. Simply stated, r-value is related to the thickness or depth of your insulation. If you could be saving money on your energy bills by increasing your insulation r-value, then we’ll discuss our recommendations with you and work together to decide what’s best for you, your property, and your budget’s needs. AttiCat® Blown-in Insulation: Pink is GREEN! 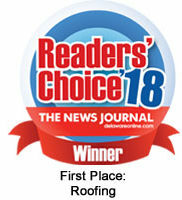 As an Owens Corning Certified Preferred Contractor, Ferris Home Improvements is proud to offer the AttiCat® Insulation system to our customers. The AttiCat® Expanding Blown-In PINK FiberglasTM Insulation system works by taking specially packaged Fiberglas insulation and feeding it through a machine that breaks it up and fluffs it, adding millions of tiny air pockets to increase the materials’ insulating power. As it bounces its way up to your attic, the insulation is fluffed throughout the length of the hose, adding more pockets and increasing its insulating power. Since Fiberglas insulation will not settle, it will keep its energy-saving R-value over time, saving you energy and keeping your house GREEN and your wallet full of green! Insulating Your Home Can Save You Bucks! If you’re tired of big energy bills season after season and you’re ready to make a move to keep more money in your pocket, then give our Ferris Home Improvements’ Wilmington DE insulation contractor crew a call today to evaluate your home’s energy status. Our experts will inspect your home and give you an honest opinion on the areas for improvement within your home, including your insulation and roof ventilation system. The U.S. Department of Energy’s ENERGY STAR program estimates energy savings of up to 20% on home heating and cooling costs for homes that upgrade their insulation to match recommended r-values. For more information about energy savings with Owens Corning insulation, click the brochure on the left. 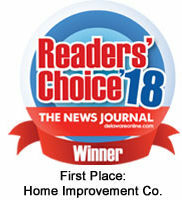 Our Ferris Home Improvements Wilmington DE insulation company is more affordable than the competition because we are not part of a giant, franchised corporation. With less overhead and a mid-size crew of dedicated experts in the field, we are a much more efficient company who can offer you better labor pricing for the same top quality craftsmanship you get from the highest bidding competitors. Can’t afford the entire bill right now? Would you rather make monthly payments? We have partnered with Service Finance Company to offer financing up to $25,000 for eligible customers, and we’ll work with you to help you get the services you need.